Kirby is 746 hectares of connected landscape providing the platform for research for sheep and cattle. 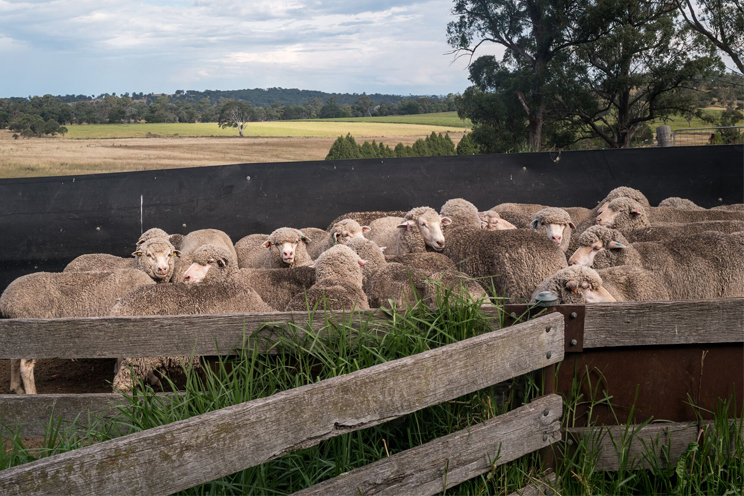 Managed as a commercial sheep property, Kirby provides the research platform for genomic technologies and makes use of a heavily-connected landscape for remote monitoring of livestock systems. A large sheep flock forms part of the MLA Resource Flock providing genomic information for industry that will increase the accuracy of breeding values and accelerate genetic gain, especially in hard to measure traits such as sheep meat eating quality. On-farm connectivity comprises the latest and emerging methods with the networks linked to the outside world via fibre, fixed wireless and satellite national broadband network, and the AARNet national fibre network. The SMART Farm Innovation Centre is an ‘instrumented’ research and teaching laboratory and the ultimate site to evaluate and inform innovations in practice and new technologies in a working farm environment. The SMART Farms are an ideal environment for innovation in areas including: spatially-enabled livestock management; earth observation systems monitoring feed base and landuse sustainability; livestock and pasture datasets, weather; and data integration to assess the effectiveness of management decisions and optimise planning of new infrastructure. Kirby provides a base for research in any of these areas but also serves as an education and outreach facility to connect researchers with students, producers, industry and the community.